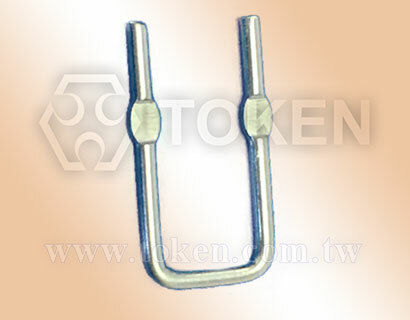 Token's open-air, low inductance, low ohmic device is alternative current shunts. Developed for current sensing and shunt applications, Token's LRB series of bare element resistors have a precision alloys (Ni-Cu) element welded construction. Built-in stand-offs and standard spacings make for easy mounting. The bare metal element design allows for maximum cooling via airflow, forcing less heat into the PCB. The flameproof construction offers values down to 2mΩ with low inductance. Customer can specify resistance range designed to satisfy challenging and specific technical requirements. These factors make the LRB Series an outstanding choice for all types of high current power supplies and power applications requiring a robust part that is impervious to most environmental stresses. The device is ideal for current limited, Current balance, and sampling sense in power supplier. It takes on the capability of high overload, and the function easily welding and non inductance as well. The Open Air (LRB) Low Ohmic Value Resistor is available in bulk packaging and is RoHS compliant and lead free. For non-standard technical requirements and special applications, contact us with your specific needs. Download PDF Specification Open Air Low Inductance Low Ohmic Resistors (LRB). Radial leads, Low inductance. High stability open-air style. Precision alloys resistive element. Pb-free and RoHS compliant. Standard tolerance ±3%, ±5%, ±10%. low resistance value 2mΩ ~ 50mΩ. Inverter and Switching Power Supplies, Power Tool Motor controls. Current Detective, CPU Drive Control, Automotive, Feedback System. Power Supply Shunt, Residual Battery Power Detection, Current Sensing.